Can you complete this Harry Potter Logic Puzzle that Snape used to protect the Philosopher's Stone? 'A' for Move Ahead', 'B' for 'Move Backwards', 'N' for 'Nettle Wine' and 'P' for 'Poison.' 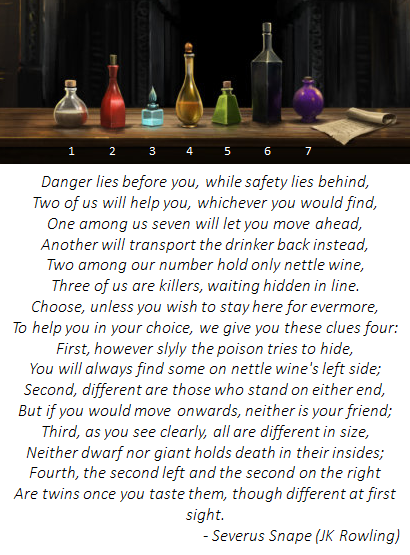 1-7 = Left to Right; the size of the hint box is in relation to the size of the potion bottles. You may want a pen and paper for this.